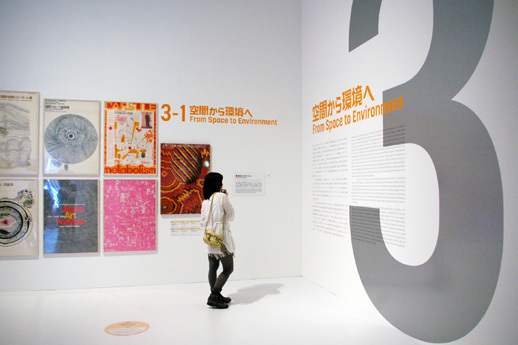 Rem Koolhaas x Nanjo Fumio: Why Metabolism now? Coinciding with the exhibition “Metabolism, the City of the Future: Dreams and Visions of Reconstruction in Postwar and Present-Day Japan” at Mori Art Museum, leading architect Rem Koolhaas and curator Hans Ulrich Obrist will be publishing their new book Project Japan on October 28. 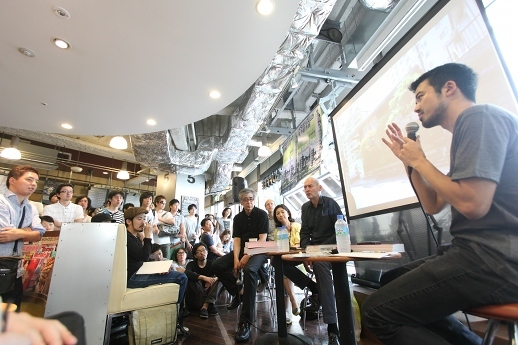 To celebrate its launch and limited pre-sale, Koolhaas and Mori Art Museum director Nanjo Fumio spoke at TSUTAYA TOKYO ROPPONGI on September 18, in which I participated as the moderator. In this article, we will look at the thoughts presented in this talk, to search for the reason behind the resurfacing of the interest in Metabolism. 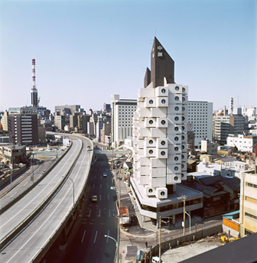 Metabolism, the first Asian avant-garde movement, according to Project Japan, was founded in 1959 by young Japanese architects, theorists and designers like Kisho Kurokawa and Kiyonori Kikutake against the background of the rapid postwar economic growth in Japan. As their name suggests, the Metabolists responded to urgent problems like the sudden increase in population and expansion of cities by proposing large-scale architecture and urban planning that would continue to change in form organically. Epitomized by their involvement in the architectural planning of the era-defining World Exposition held in 1970 in Osaka, their influence went well beyond the realm of architecture, extending to the formation of the image of the nation and its future. Through his publications that continue to have a huge impact on architectural theory, Koolhaas has established the significance of urban phenomena such as shopping malls that were often not regarded as worthy of attention, casting an unflinching eye supported by a voluminous research. In this research, Metabolism emerges as a new matter of interest. Where does this interest stem from? Why Metabolism today? If I look at the global situation now, it’s my personal conviction that the level of architecture in Japan is higher than in rest of the world. And if you were to think why that is so, the answer is obviously because there has been the presence of a group of architects that were exceptionally gifted, and who also worked together as a group. If you look at the current landscape of architecture around the world, you see a number of individuals, and those individuals almost never talk to each other. In fact, they’re constantly competing with each other and there is not even a remote sense of an architectural community. Moreover, it is very clear that the initiative in culture is now switching from the West to Asia. And for that reason, I think it’s very interesting to look at how the Metabolists, who actively participated in the ending of the Western hegemony of architecture, succeeded in establishing their position. Is Metabolism a thing of the past for a shrinking Japan? In the talk, Koolhaas repeatedly emphasized that his interest in Metabolism was prompted by his discomfort with the current situation of architecture. There is the possibility, however, that such an attitude may be understood as mere nostalgia. This question was posed by Nanjo: some say that as Metabolism emerged in coincidence with the rapid growth and expansion of the economic society, it has become a thing of a past in the present shrinking Japan. What does Koolhaas think about this? When you start a movement, it’s like a crime: you have to have a motive. And the more compelling the motive, the more successful the crime or the movement. So I think that it was a brilliant choice by the Metabolists to take the metaphor of metabolism as the motive, because it gives the sense of a biological inevitability. But more to the point, while the half of the world consisting of developed countries is in a process of stagnation, the other half continues to grow incredibly quickly. And in that sense, I’d say that there’s still an urgent necessity today to think about how to not only accommodate growth, but to channel it in a way that is productive. From this point of view too, I believe looking at a movement like Metabolism is very important. Listening to this in post-disaster Japan, where large-scale reconstruction is required in some form or other, one perceives a sense of hesitation in Koolhaas’ words. Perhaps this is because he did not touch here on topics such as the process of transformation and building of the nation that the Metabolists contributed to. What is the source of this hesitation? This is an important question when thinking about what can be done in Japan today. Metabolism and Politics: Are politicians and bureaucrats the real “architects”? 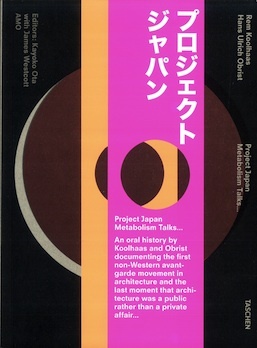 The book Project Japan is composed of nine interviews and nine chapters on Koolhaas’ own interpretation of Metabolism, as well as the key events and themes that are crucial to understanding Metabolism. The interviews were the initial reason that prompted Koolhaas to start working on the book in 2005. The sense of alarm that the voices of the Metabolists should be compiled into a record before they were lost forever was a major motivation. This also directly relates to the timing in which the exhibition aiming to define and historicize the Japanese architectural movement had been organized. In the interviews, Koolhaas was accompanied by art critic and curator Hans Urlich Obrist, known for the prodigious number of interviews he has carried out. The two focused not on making the architects talk about their works, as one would expect from an ordinary interview, but rather on the lives and human relationships among the Metabolists and those around them. Koolhaas’ approach is palpable here, in his attempt to understand architecture stereoscopically by casting a light not only on the isolated work itself, but also on the context in which architecture arises. Emblematic of this are the interviews with Kenzo Tange’s widow and son, as well as his former family. 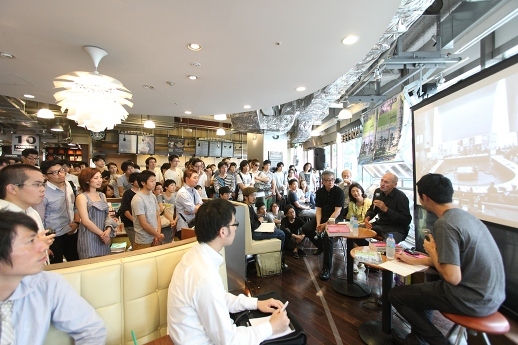 During the talk, Koolhaas praised Tange as “a unique figure not simply as an architect, but as someone who seamlessly integrated his life, education, work and politics, creating an incubator for young architects”. The interviews with his family illustrates the fact that he regarded their points of view as being crucial to attaining a full grasp on Tange’s work. 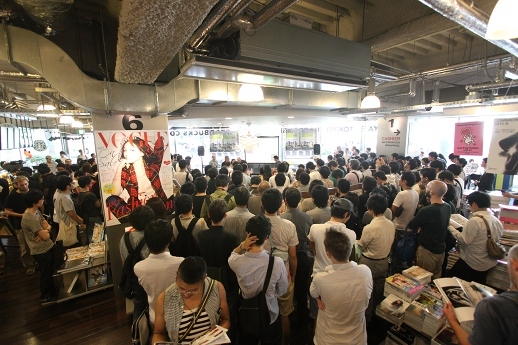 Another unique characteristic of the book is the interview with Atsushi Shimokobe, who held prominent positions as a bureaucrat, including the vice ministerial role at the National Land Agency. Despite having masterminded numerous national land planning projects, and being deeply involved with the Metabolists, the spotlight rarely settles on him. 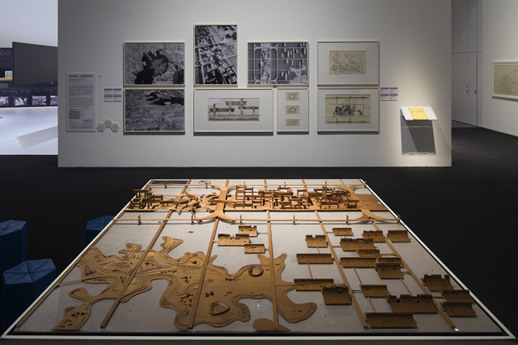 Koolhaas interviewed him twice over a span of three years in order to unravel the connection between architecture and government that existed at that time, in the belief that it constituted one of the defining strengths of Metabolism as a movement. Shimokobe and the central government had a new vision of Japan and that vision was based on an awareness of Japan’s weakness, namely its physical vulnerability and its limited territory. Shimokobe sought to transform Japan in spite of these weaknesses, and the Metabolists played their roles in a script that was written by him and the government. The Japanese government in fact acted as an incredible sponsor of architects and, in a way, you could even say that they invented certain architects. This is why the book is called Project Japan. Are we to understand this as a provocative statement suggesting that the real “architects” are the politicians and bureaucrats, with the actual architects being merely their tools? Nanjo cast a light on this question from a different angle: does Koolhaas see Metabolism as a symbolic example of a happy relationship between politics and architects? We know that there are all kinds of problems with politics. But nevertheless, I’d say that what Metabolism shows is that if there’s an intelligent government with an agenda, and a government that is interested in using architects as actors to play within that agenda, you create a very strong situation. We should not forget the fact that during the talk, Koolhaas mentioned that “without Tange, there would have been no Metabolism”. In fact, Shimokobe was a student at Tange’s lab, and he would not have been able to tap into the architectural talent of Metabolism if those young architects had not already gathered around Tange. However, his response does seem to suggest that the leadership of a strong government is essential for architects to be able to contribute to a project of the kind of scale entailed by the building of a nation. Why did Koolhaas avoid touching on these kinds of topics when answering to the question about the validity of Metabolism today? Architecture Today and Its Problems: What kind of limitations does Koolhaas feel as an architect? 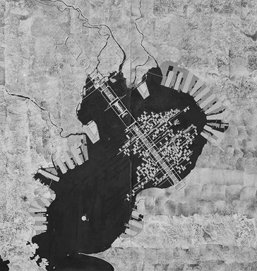 Koolhaas suggested that the leadership of a strong government is necessary for architects to be able to contribute to a project of a grand scale such as nation building. Does he feel this is still possible today? And if not, what are the problems that architecture faces? In Project Japan, Koolhaas uses one entire chapter to explore the relationship between the Metabolists and the mass media. Tange and the Metabolists attracted an inordinate amount of media attention. 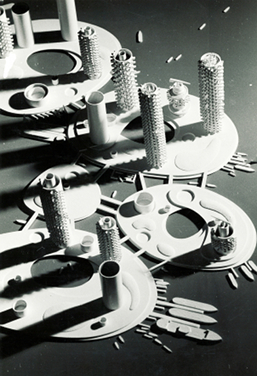 Tange, for instance, presented his “Plan for Tokyo 1960” in a special program on NHK (Japan’s national public broadcasting organization), and Kisho Kurokawa was featured on countless weekly fashion magazines and regularly appeared on NHK programs for more than fifteen years. Koolhaas points out that through this, Tange and the Metabolists were able to fundamentally renew the image of the architect in Japanese society. In his words, they “invented the role of the architect beyond the limitation of architecture”. In saying this, he also added that he was interested in this because he is “very much aware of the limitations of architecture”, prompting an immediate response from Nanjo: what is the limitation of an architect working today? And what are his thoughts about the relationship between architecture and democracy? I hate to think that architecture and democracy are incompatible. But in the last three decades, the entire world has embraced the market economy as the final arbiter of what should happen, pushing consumerist culture to the fore. Architects are now working mainly for the private sector and that’s creating huge limitations in the terms of the agenda for architecture. The issue today is that the financial strength is on the side of the private sector, so the government is becoming increasingly weaker, having no control over the market economy. And since it is unable to invest in preparing its agenda, the agenda is at the mercy of popularity. The public sector must become stronger, because now they’re made responsible for everything but they don’t have the power to act in any direction. I think that is the tragic situation. Since the government is weak, it only attracts people who are attracted by its very weakness. Koolhaas stated that the final authority in society is now in the hands of not politics but the private sector that controls the market economy, creating limitations for architects, who end up predominantly working for the private sector. He intoned that the public sector must regain power to change this situation. 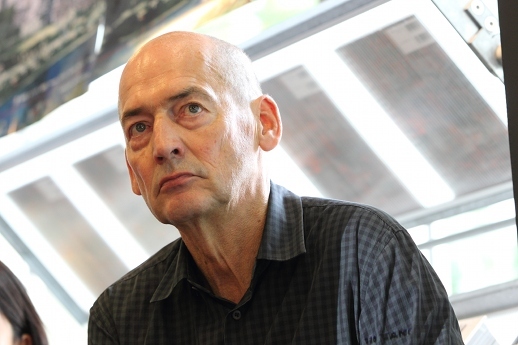 But it is not just politics that Koolhaas feels the market economy has eroded. As an architect working in today’s world he is perplexed at an even more personal level. There’s a constant pressure on architects today to talk about yourself, even if you’re not interested in talking about yourself. Everyone is inside a kind of bubble of megalomania. At the same time, architects who work internationally have completely lost connections with their own country. If I talk about a “French architect”, the concept simply doesn’t exist anymore. But the fact of being a Japanese architect is still a relevant distinction or definition. I was really extremely interested in finding out why. With politics made impotent and architects cut off from their own culture by the market economy, it has become inconceivable to be able to work on projects on the scale of nation-building. This may be the realization that made Koolhaas “hesitate” in touching on the possibility that Metabolism may be able to make a significant contribution to Japan today, when answering the question of whether he thought Metabolism has become a thing of the past. We should not understand this, however, as a white flag. To read the present through Metabolism in order to seek out the possibilities and directions of today. That labor is a prerequisite for us to be able to re-attain our ability to think about and imagine potential futures. Published and organized in the same period, the book Project Japan and the exhibition at the Mori Art Museum provide us with the groundwork to do just this, prompting discoveries and actions that are of imperative importance for us today.